You may have noticed by now, that we live in Bristol. The land of snazzy bridges, waterways, graffiti and Morph. The latter may explain why L has always been completely obsessed with animation. Particularly stop-motion. I even started putting them on YouTube. This 54 second Minecraft animation has been viewed over 2,000 times and it shows how you really don't have to be an animation pro to have a lot of fun with this hobby. He was just nine then and I think we are living in an amazing age of technology, when children of any age can make their own films. 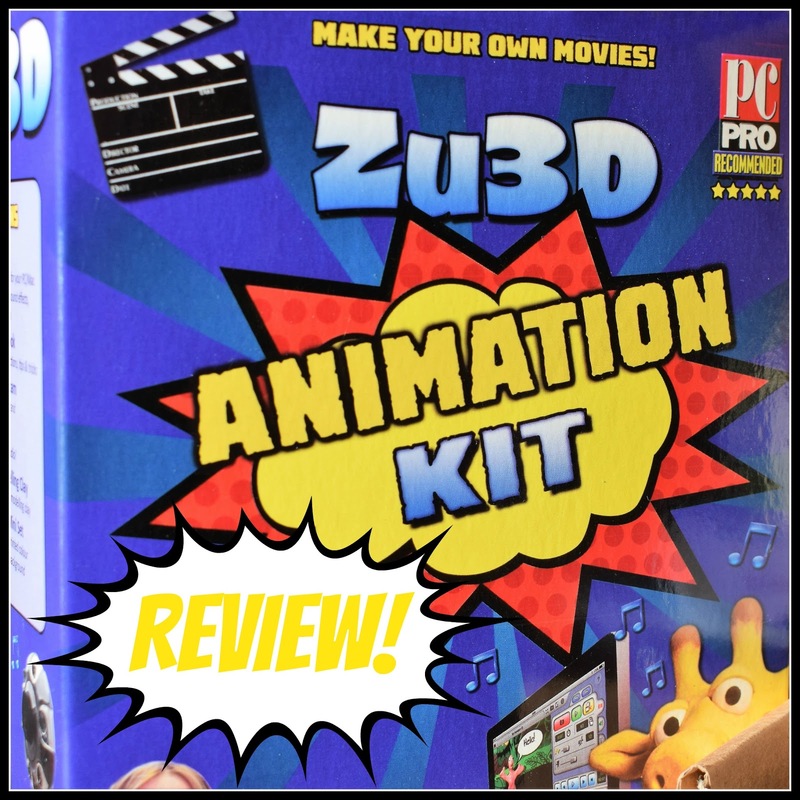 We were sent the Zu3D Animation Kit free for L to try and these are our thoughts. 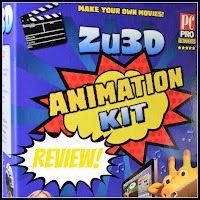 Zu3D software, which is compatible with PC, Mac, or iPad, and includes a permanent licence for the product. The software is provided on a CD Rom, but can also be downloaded from the website. Strips of modelling clay in 8 different colours. Green cloth, ideal for making your own green screen effects. 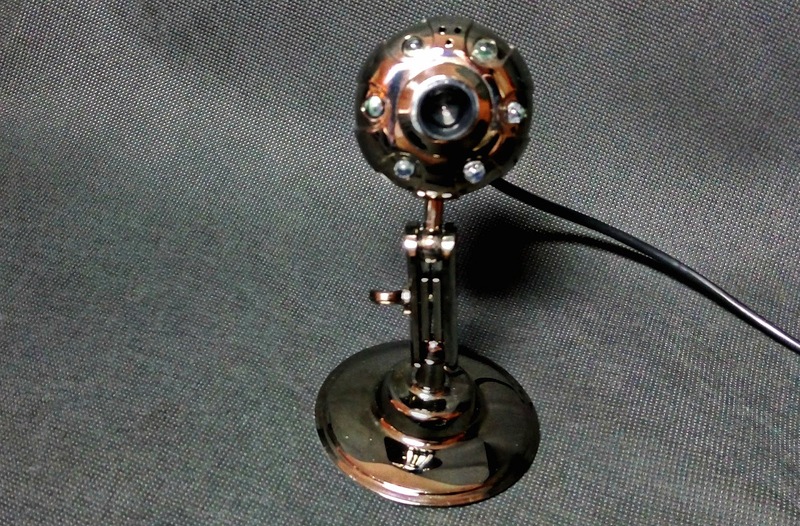 And a fantastic, pose-able webcam, complete with built in microphone, LED lights and manual focus. It is so beautifully designed, I couldn't help thinking it looked a bit like a trophy! As I mentioned before, L is 11 now and, like most children his age, he is very tech-savvy. Even so, I was surprised he had the whole system up and running without any input from me what-so-ever. That's how easy it is to set up. The Animation Handbook, included in the set, provides all the information you need to create your project from start to finish. 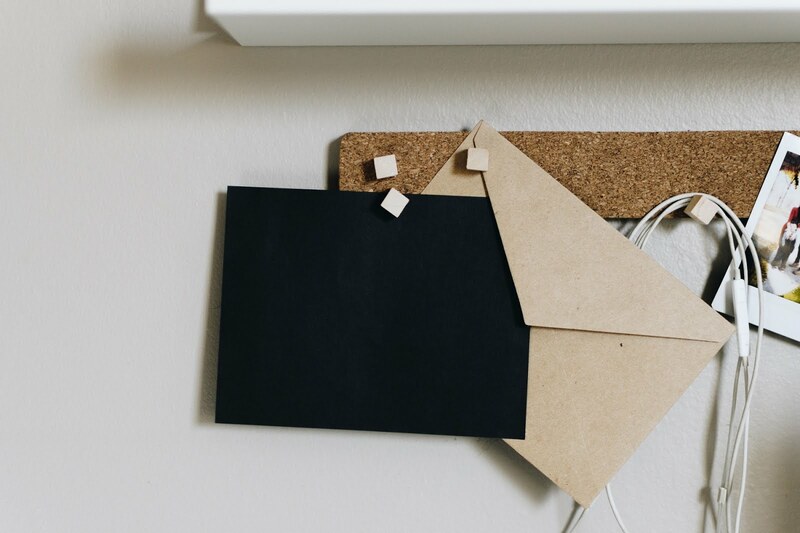 It also offers handy instructions to help with ideas for characters and stories, as well as step-by-step guides for each part of the process. It makes it all so easy to understand and so much fun to do. The set is also really versatile, as you can use it to make films with any items you like, as well as the modelling clay included. 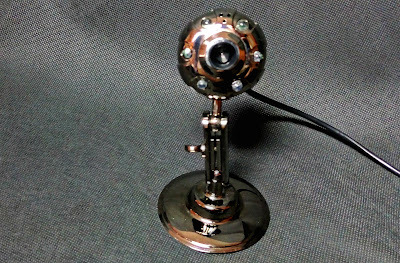 You could use toys, figures, inanimate objects, whatever you like to create your movie. The video below was made using Lego, filmed with the Zu3D webcam and edited with the Zu3D Animation Studio to add sound. It shows how easy it is to produce a short film pretty much straight out of the box. Children of any age will get something different out of the set, because it grows with their level of dexterity and imagination. I think it would make a great gift, providing hours of entertainment. With thanks to Jaymee from The Mum Diaries for supplying the first two photos, after mine went a bit wrong! 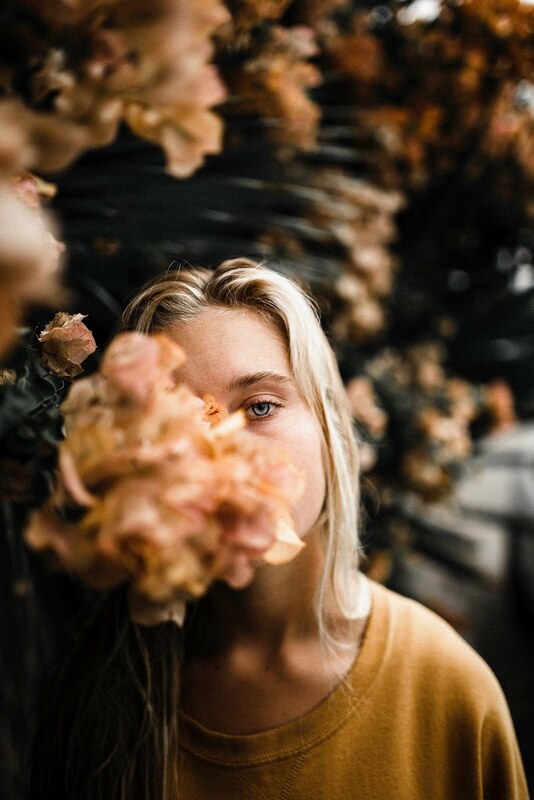 This looks really interesting, what kind of age range would you say this is for, please? I have two nephews, brothers, who are, (let me just work it out....) 11 and 9, the 11 year old, is, how can I put it, advanced for his years, do you think it would be suitable for them both? And another nephew who is 12 and his 10 year old sister? I think it would be perfect. You can get more out of it, depending on age, so I think they would enjoy advancing their skills and making more complicated models and stories. There's a new stop-motion kit available which will be featuring in our Christmas gift guide and giveaway, so make sure you enter! Thanks for the reply, I'm entering your mahooisve comp, lots of lovely things on there. Thank you. This looks fantastic. James loved the video, this really opens the minds of our little people. Great way to explore the mind. 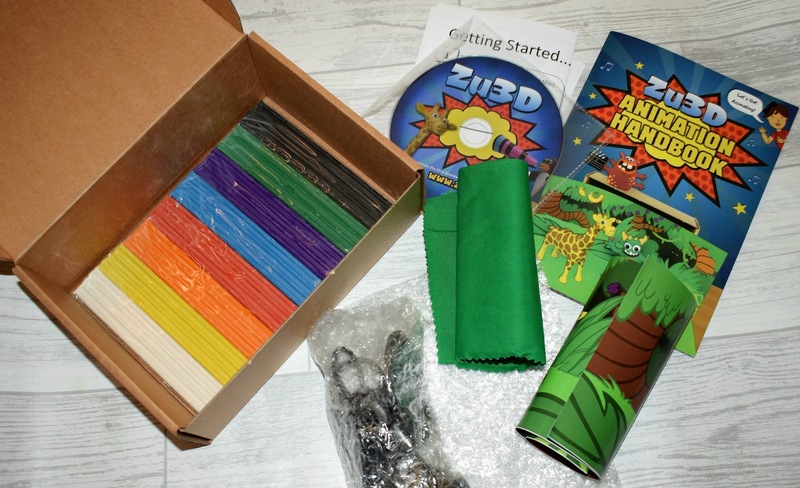 Fabulous post, thank you for sharing, ZU 3D animation kits look great fun. It looks really great! Perfect for my young nephew. In fact, I may even get this for myself!